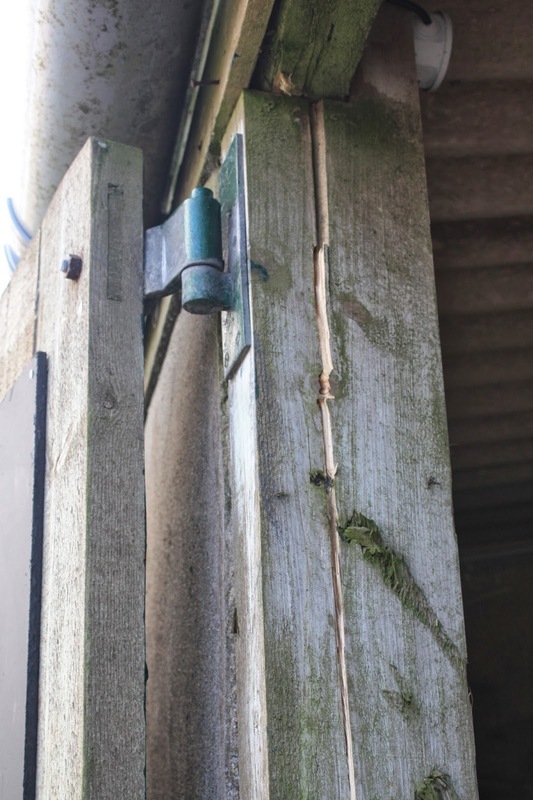 Split door upright on the packing shed, neither door now in working order. 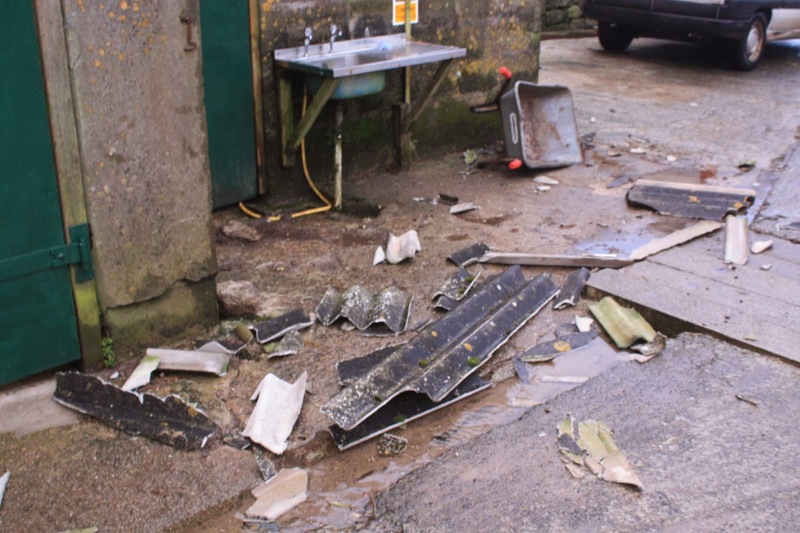 Broken roof panels littering the farmyard. Roof damage in the egg packing room. 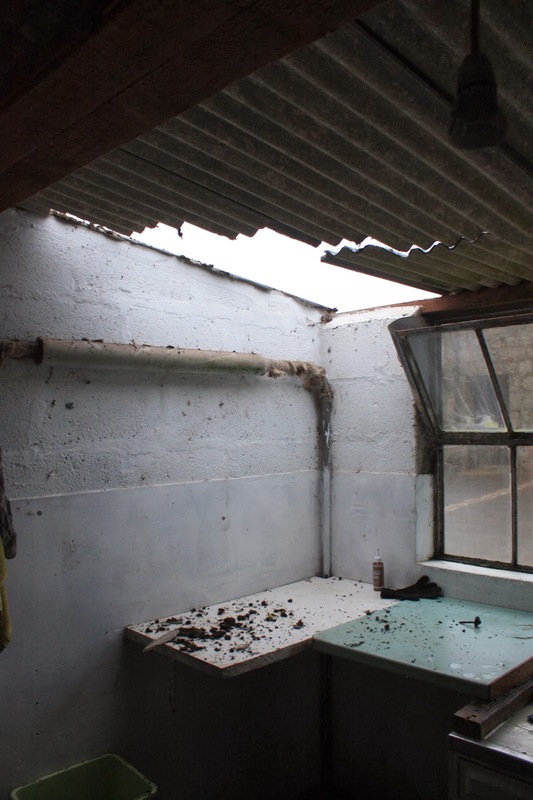 Roof damage in the packing shed. 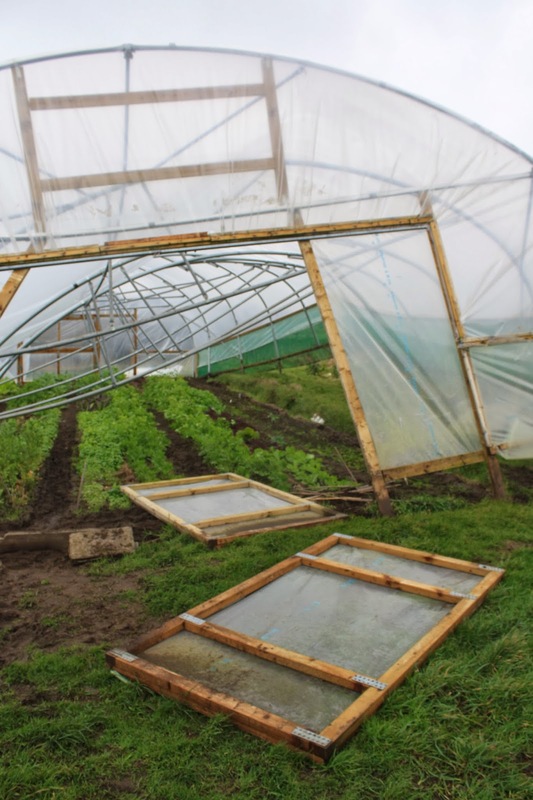 "Baby" polytunnel flattened by a north-westerly gale. 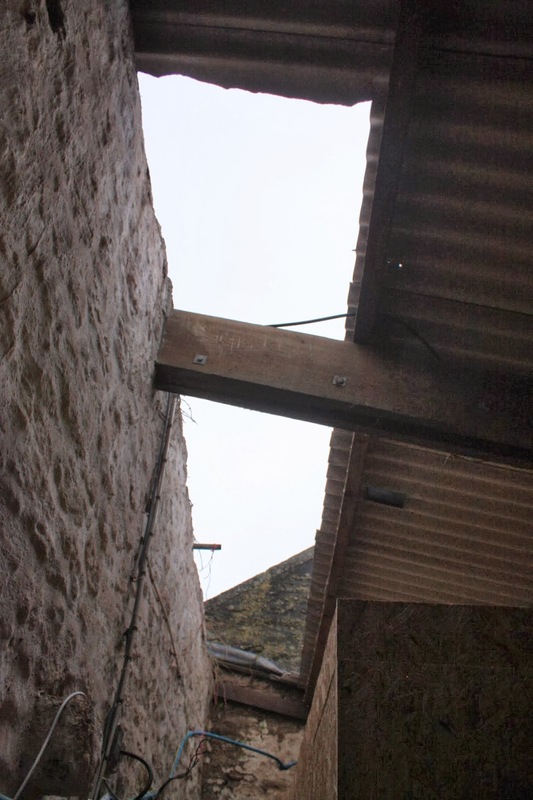 Extra storm braces didn't save the joints from buckling. 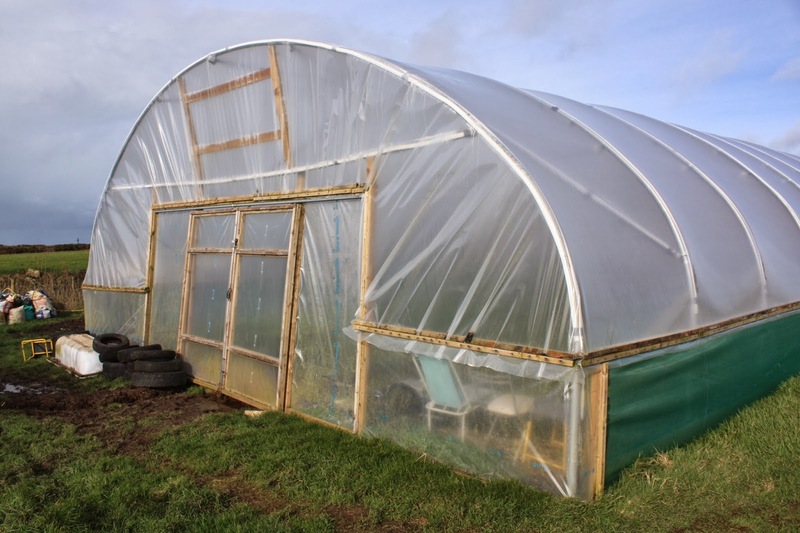 The east side of the polytunnel now hanging in the air 2 metres east of where it should be. Front doors and front end. 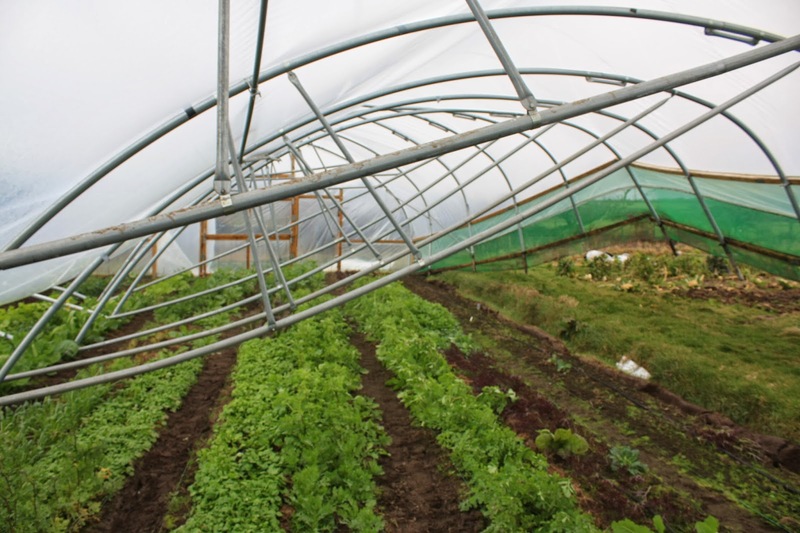 Inside the tunnel - all our lovely winter salad crops! 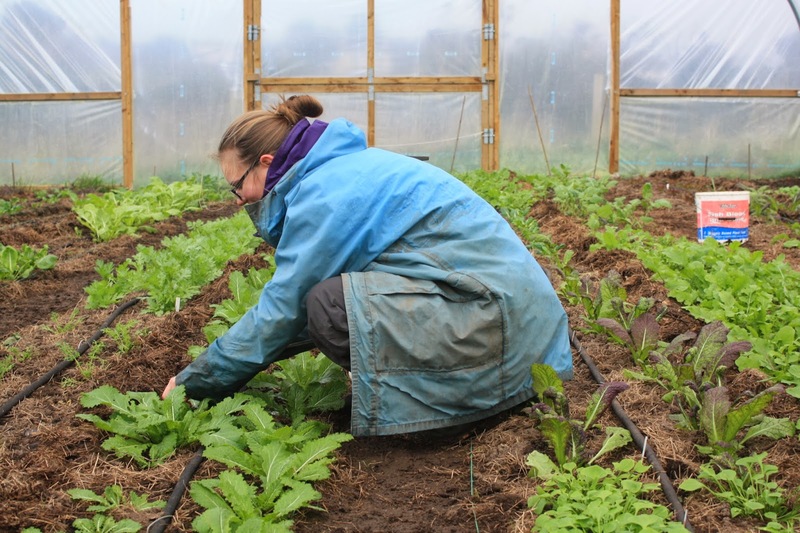 Many thanks to Marie for her week volunteering as a wwoofer on the farm - we hope you had a safe trip back to France. 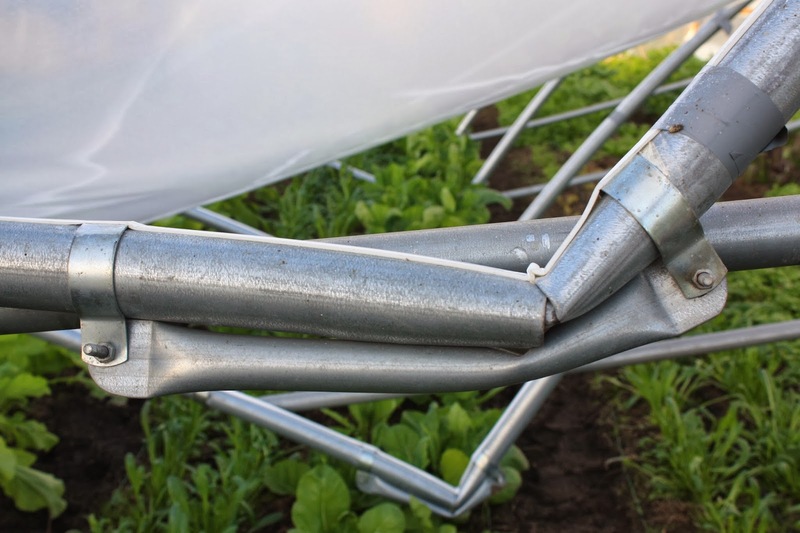 Despite a slow start in October, due in part to it being a very cloudy month, we began to harvest a little winter salad in December, but it was towards the end of January when it really kicked off. 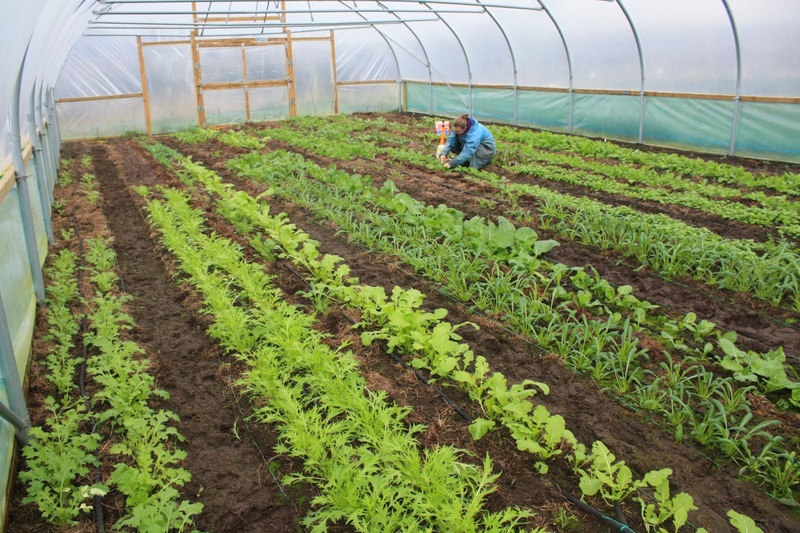 We are now harvesting about 7kg per week of salad leaves, and as well as supplying our veg boxes, gate stall, farm shop, and market stalls, we are supplying several cafes and pubs in the area. Who said salad was just for summer? Our winter salad bags consist of (and I'm sure to have forgotten something) winter purslane (claytonia), red salad bowl lettuce, land cress, nasturtium leaves, sessantina, serifon, namenia, mizuna (both red and green), mustards (giant red, green-in-snow, red frills, golden streaks), texel greens, shungiku (a new one for us), three types of rocket, sorrel, tat soi, senposai etc..... We buy most of these seeds through Tamar Organics in Launceston. 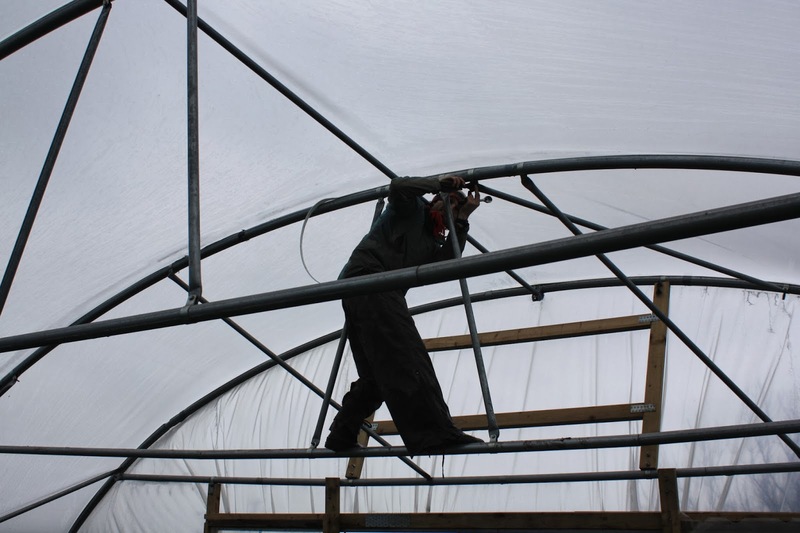 Arthur bolting part of the new polytunnel together. 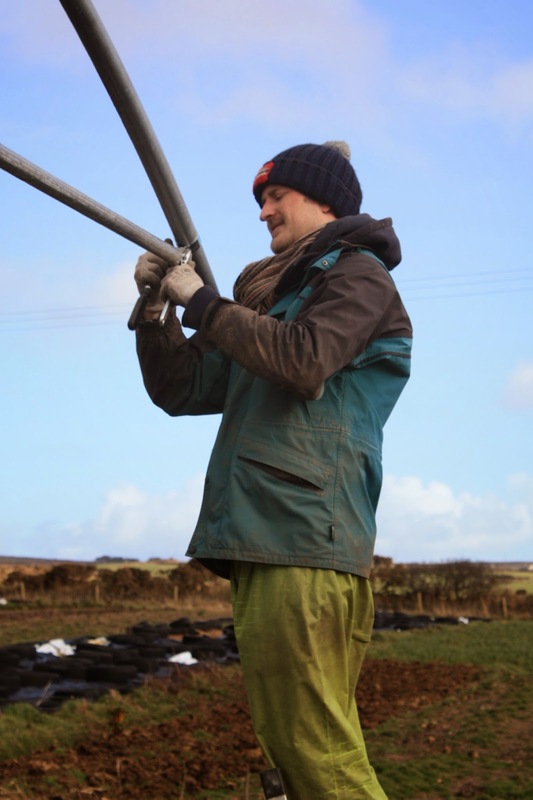 Many thanks to Arthur, from Bordeaux, for volunteering as a wwoofer on the community farm for 2 weeks. Arthur left this afternoon by motorbike to Exeter, and we wish him a safe journey. 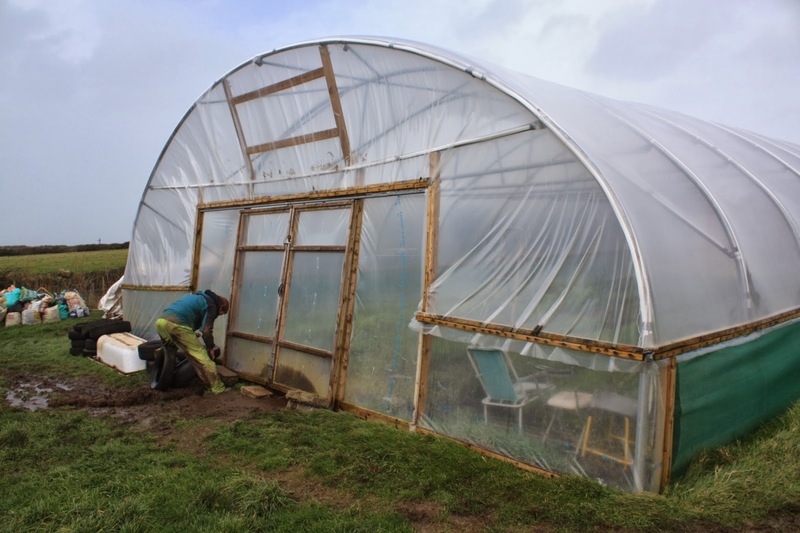 Here on the farm we have been trying to continue as normal through the awful weather - building a new polytunnel, looking after the chickens, harvesting for markets and veg boxes etc. 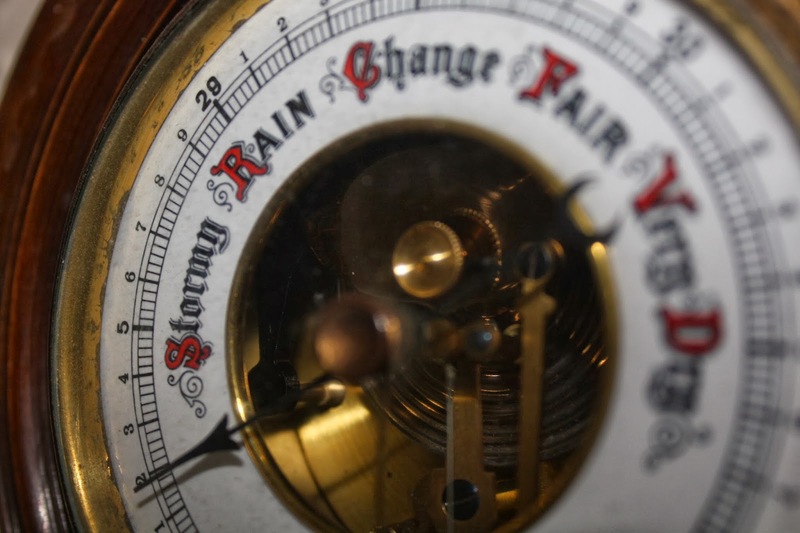 This afternoon's barometer reading, beyond stormy! 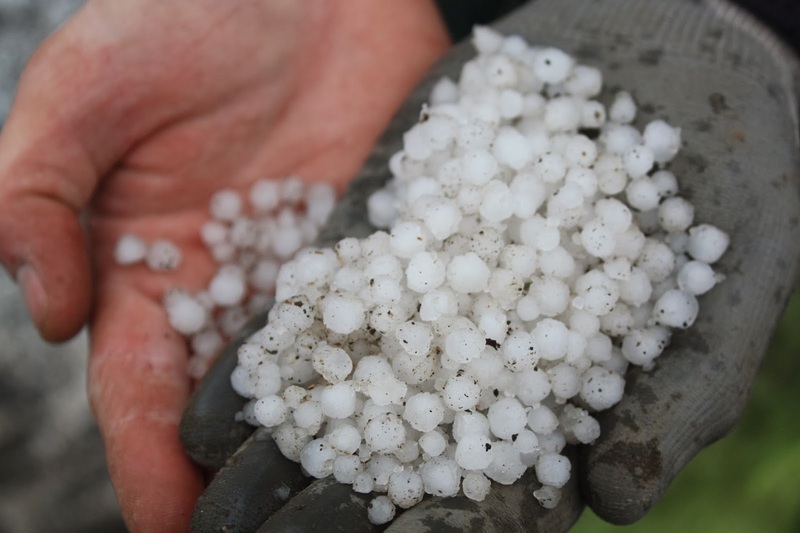 Hail stones from Tuesday's storm. 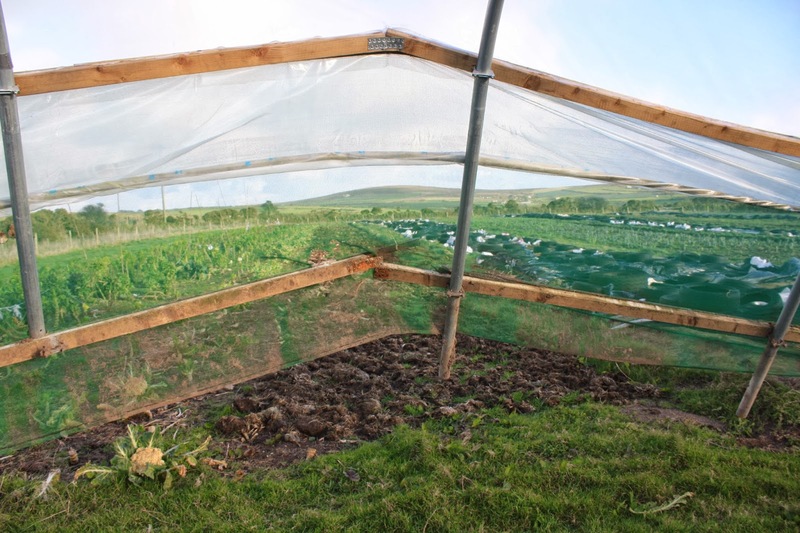 Our main casualty though is the southern end of our new polytunnel, which less than one year old. This flat end faces directly into the prevailing wind, and doesn't seem to be as sheltered from the trees as we had hoped. Starting to bow inwards after the first set of storms. Bowed even more after Wednesday night; Arthur wedging rocks against the door. 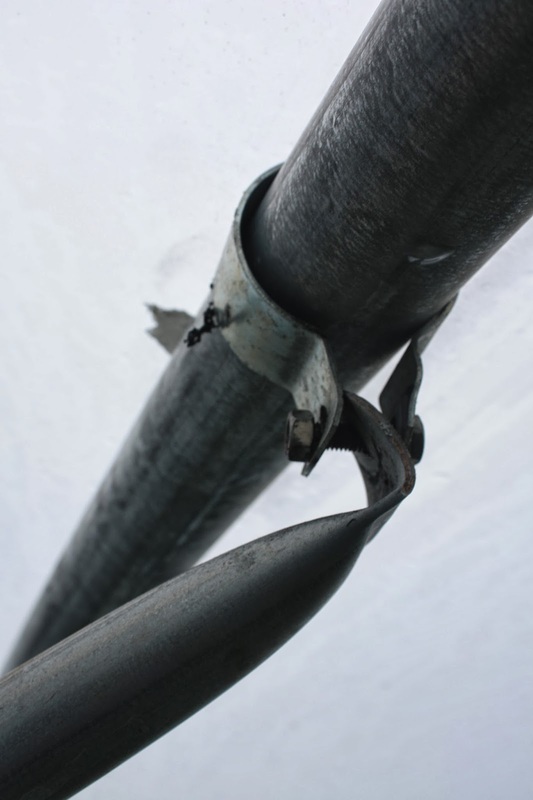 The strength of wind blasting against the front of the tunnel has bent some internal supporting struts, allowing the front to bow inwards even more, which has lifted the front timber-work up and away from the ground. 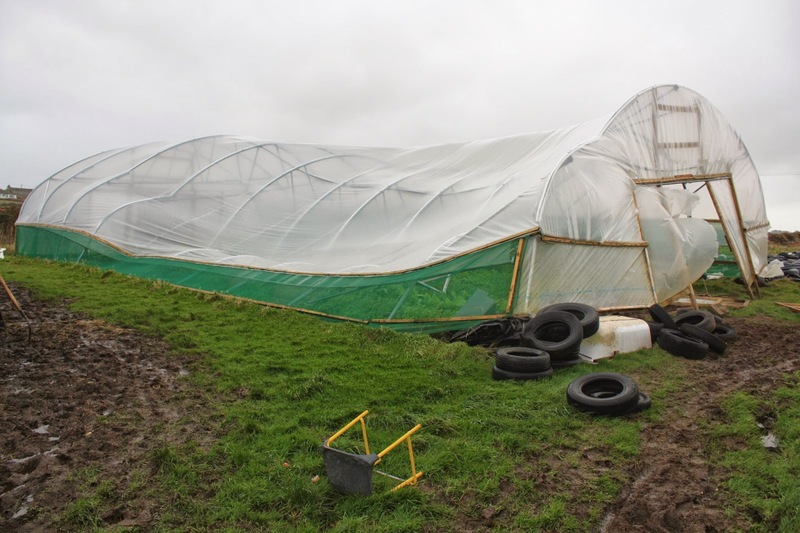 To try and stop wind getting underneath and lifting the structure we have made a wall of tyres and an old bathtub at the base. 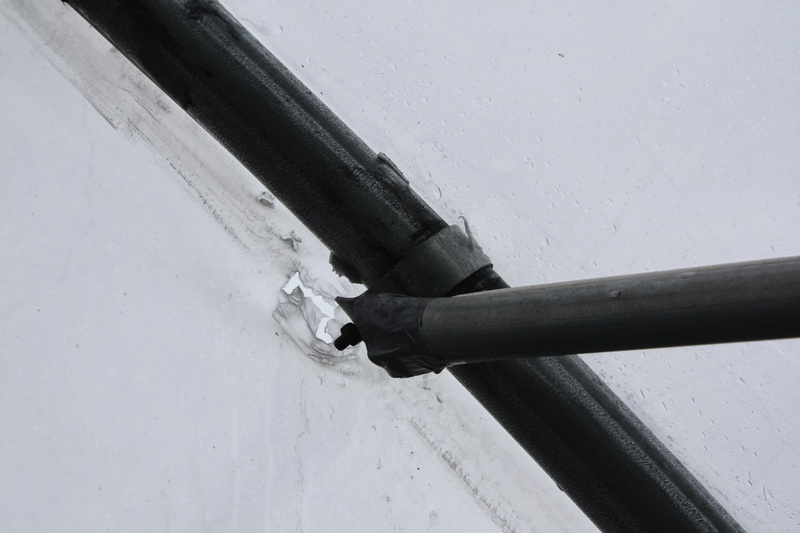 A bent strut now tearing holes in the plastic cover. Hugh undertaking running repairs in the rafters this afternoon. Also a big thank you to Alexandra from Germany for her three weeks helping on the farm, who left on Tuesday for wwoofing pastures new - enjoy your next farm. Alex spraying her home-made anti-aphid nettle concoction onto salad leaves. Many thanks to Caroline from France, who helped as a wwoof volunteer on the farm for 3 weeks in January, leaving last Monday for Plymouth - have a good trip and take care.